Exterior of new M-8 commuter rail car. 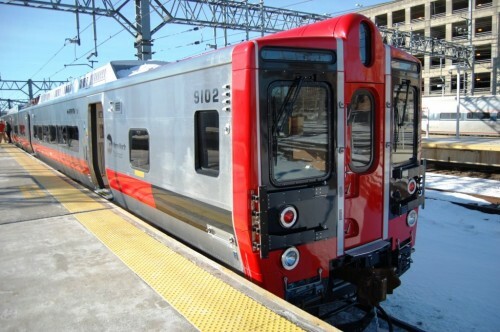 The first of the long awaited new rail cars for Connecticut commuters has been put into service on the New Haven line on March 1, according to the state Department of Transportation. The new rail cars are called the “M-8”s. 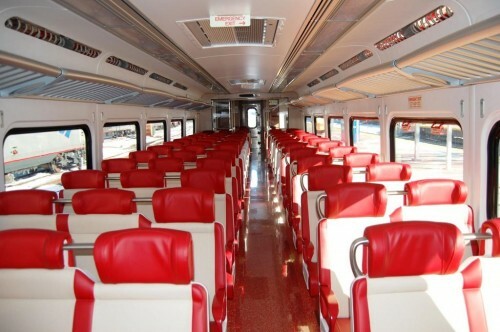 Interior of the new M-8 commuter rail car.